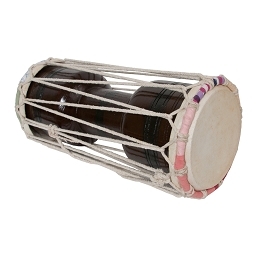 The Hudak & Udkka is a percussion instrument used in Indian folk music. 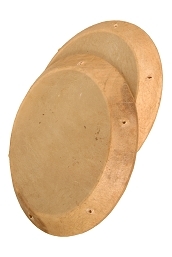 It is a two-headed small drum. 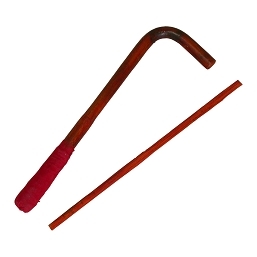 The tone of this instrument can be varied by pressing or releasing the strings, which are tied between the two sides. 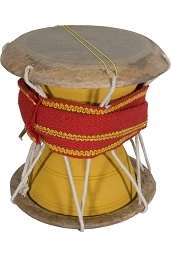 This drum is held in the armpit while playing it. 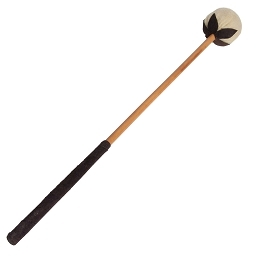 The structure of this instrument however displays a superior work of artistry.